An iPhone keyboard hack that enables users to quickly move the cursor through the text of messages has sparked excitement among users, despite being available in some forms since 2015. Flagged by several users on Twitter in recent days, the feature enables iPhone users to press and hold on the spacebar of the keyboard and then drag their finger around to move the cursor to any position they desire – sparking a flurry of reactions on social media. It’s caused such delight as many were still using old methods such as trying to tap on precisely where in a message they wanted to move the cursor in order to make edits. However, the trick itself is not new, having been present on 3D Touch-enabled iPhone handsets since the iPhone 6S launched in 2015. The spacebar trick is new in iOS 12, I believe, but 3D touching (pressing harder than normal) anywhere on iPhone’s keyboard or using two fingers on iPad’s keyboard has worked for several years now. Unless this is from iPhone XR, all iPhones (post iPhone 6S sans iPhone SE) showcase this behaviour on entire keyboard. Just that the action isn’t click and hold but a deep press for hover and a deeper press for text selection. This allowed users to firmly press anywhere on the keyboard – not just the spacebar – to activate a virtual trackpad that allows users to move the cursor around messages. 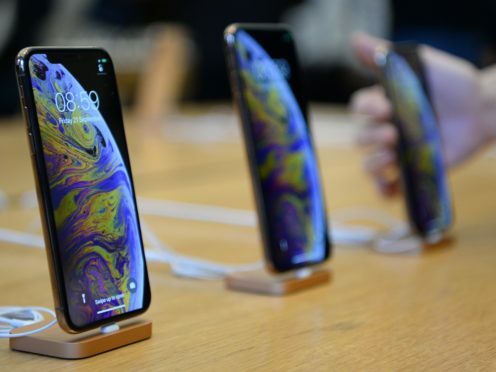 But with the introduction of the iPhone XR, which doesn’t use 3D Touch, iOS has been updated to allow users without the feature to access it. Starting in iOS 12, users can press and hold on the keyboard’s spacebar to access the same feature. No matter how recently they discovered it, it appears the trick is likely to change how many iOS users send text messages.